Julia currently is in a sensitive period for arts and crafts. During her mindful time, she prefers to ✏️draw, 🖌color, 🎨paint, knit with a knitting fork – wooden lucet (see a 🎥 video here) , or do 🖋 Zentangle Art (read a post here). Apparently, she also enjoys making decorative craft. So, for 💚St. 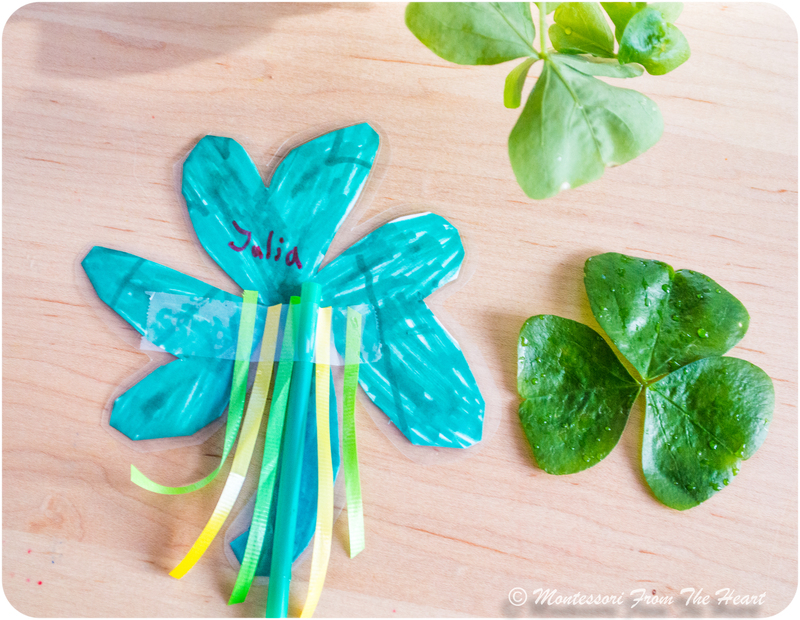 Patrick's Day, she made this super easy craft. First, Julia drew a ☘️ shamrock on a heavy cardstock, and cut it out. She then laminated it, and attached to a straw using a tape. Finally, she decorated the back of a shamrock with a fringe from yellow and green strings. Adrian loved it, and he was using it as a flag and a puppet. Laminated shamrocks can also be displayed in a cup holder as a table decoration. Your imagination is the limit. My heart is rejoicing seeing my daughter being independently creative, mindful, and artistic. Turning to art and craft, is a beautiful way to catch a breath, be mindful, and Julia treasures these moments of peace and creativity more than ever.